be a Patron for StarCrafts! show your love! Hey guys! This is Jonathan Burton or 'CarBot' of CarBot Animations and thankyou for checking out my Patreon page! I have joined Patreon to possibly quick expand with StarCrafts and CarBot Animations. What I Do... As you probably already know, I have a passion for StarCraft and gaming in general, and of course making cartoons and cartoon parodies. Most people do not realize the amount of time it takes to create a cartoon, especially doing it in the classic frame by frame style as i do. 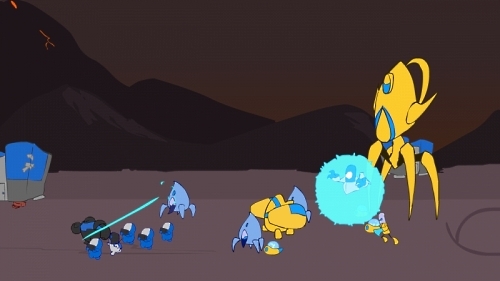 It often takes me the full week to create the 1 to 2 minute StarCrafts episodes you see each saturday. The support on YouTube has helped make animating my job, but supporting me through Patreon as well can make this my career. It has always been my dream to entertain through cartoons powered by my own imagination, this is why I have made a Patreon page. What is Patreon and how do I help? Patreon allows fans to become direct supporters of content they love. Its kind of like a kickstarter, but in smaller numbers and on a consistent basis. Once you have made an account, you can choose to support me through a donation of your liking. It can be as little as 1 dollar or as big as you want. This 'tip' or support is applied with each new episode I release, but is not charged until the end of the month. You can also put a maximum per month, just in case if I some how make 100 episodes in 1 month. There are also bonuses for contributing. If you decide its not worth it anymore or change your mind later, you can cancel at any time. In response to be a Patron for StarCrafts! show your love!